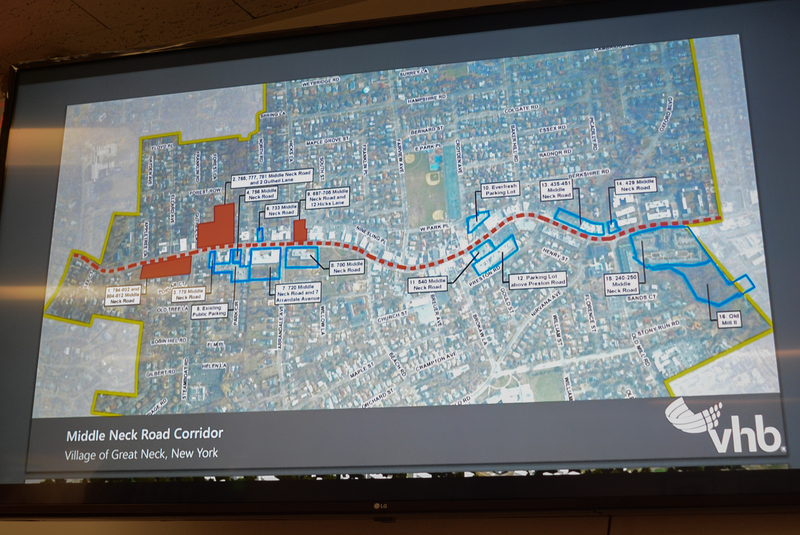 Village of Great Neck residents hoped to hear a comprehensive plan for boosting the Middle Neck Road and East Shore Road corridor on Tuesday night, but some residents said they were disappointed. Marwa Fawaz of VHB Engineering, the village’s consultant on the revitalization project for Middle Neck Road and East Shore Road, highlighted three “underdeveloped” sites – Academy Gardens, the current Department of Public Works, and the corner of Hicks and Middle Neck Road. 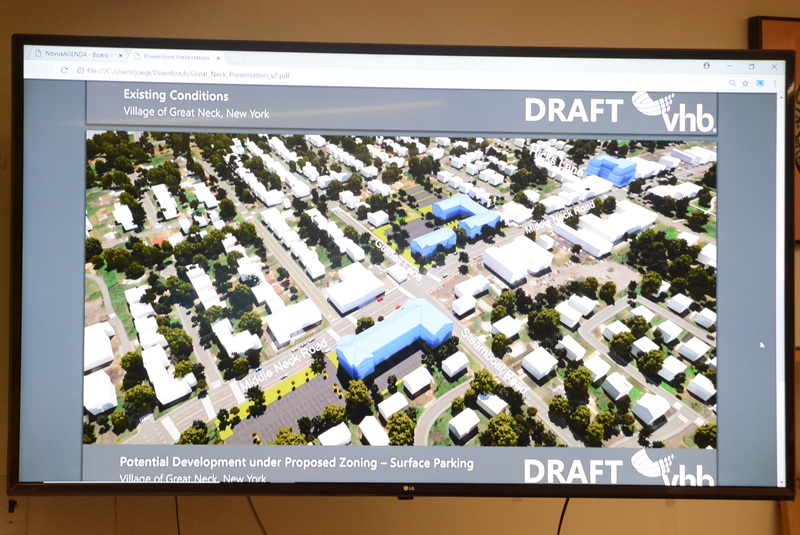 The chart also showed colored 3D models of potential development, as well as areas considered potential development spots along Middle Neck Road. Jean Pierce, a member of the citizens advisory committee for the revitalization, was among residents who expressed disappointment. She said that potentially developing Academy Gardens, an apartment complex, was never discussed, an assisted living facility for the corner of Hicks and Middle Neck should be off limits, and that many things they heard were not included in the presentation – including streetscape developments. Robocalls had gone out on Thursday advising residents that VHB would make a presentation on “the proposed future development along Middle Neck Road” on Tuesday, Sept. 11, at 9 p.m. 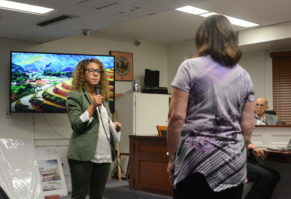 It also said that it would be one of a series of “public visioning meetings” for the revitalization of the Middle Neck Road and East Shore Road corridors, with the next to come in October, and streamed on the village’s Facebook page. Pierce had raised concern about the timing at a previous meeting, noting it as not long after Rosh Hashanah ended, while officials said they wanted to be transparent and did not want to wait until October where it could clash with another planned presentation. Kristin O’Neill, the assistant director of the state Committee on Open Government, said the village gave the necessary 72 hours notice and that since the date isn’t an official national holiday, “there’s nothing in the law” preventing the village from hosting a meeting. Both Peter Bee, village counsel, and Joe Gill, the clerk-treasurer, emphasized that the presentation is very preliminary and aims to get community feedback. They also said that retaining a consultant is necessary for doing environmental review and implementing any potential zoning changes. “She’s not here proposing that she has investors ready to build these structures, but what we do know is that various entities have approached the village and suggested that they might be willing to build certain kinds of facilities in different locations throughout the village,” Bee said. Mayor Pedram Bral also said there will be future presentations, including one about a more developed master plan in November. “It’s not the end. It’s a long process,” Bral said. Fellow committee member Sam Yellis said that the meeting, while a good step towards transparency, presented the corridor in a vacuum and did not clearly state how the developments could affect the area. Yellis also said that it seemed VHB was not really prepared to give a fuller presentation to the public yet. 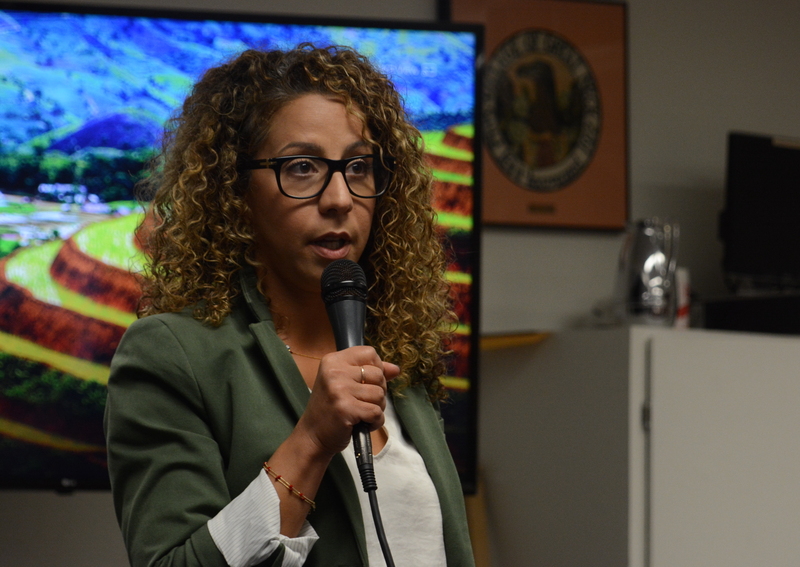 Fawaz said the focus was on three sites in a bid to not “overwhelm” residents and apologized for the brevity of her presentation. Her original presentation was about seven minutes long. Elizabeth Allen, a Steamboat Road resident, said the village seems to be catering to developers rather than listening to residents concerned what the village could turn into. “It isn’t proper for you to be serving the masters outside the village,” Allen said. “But it has to be in a way that both the residents and the developers are comfortable with coming to the table, otherwise nothing’s going to happen,” Bral added. Yaffa Rabe, another Great Neck resident, said she wants to know what longtime residents would get from the aspiring developers. It wouldn’t result in lower tax burdens, better roads or schools, she said, and expressed concern about dangerous traffic. “We are not better, we are getting worse,” Rabe said, adding that Great Neck should not turn into a city. Bral said officials are aware of traffic issues and that, with developers, they are trying to reduce the amount of parking required at a development to limit congestion.He also cited the Millbrook Court development, which plans to provide shuttle services for its residents.